With great joy and gratitude, Extraordinary Lutheran Ministries announces that the Rev. Asher O’Callaghan (he/him/his) is our new Program Director! Additionally, Christephor Gilbert (he/him/his) has been promoted to Development & Communications Coordinator. We are thankful for these outstanding leaders! Rev. Asher O’Callaghan. Photo by Emily Ann Garcia. 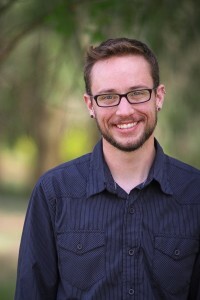 As Program Director for ELM, Asher will build and support community through the Proclaim program, walk with and equip leaders through the Accompaniment program, and connect with and uplift congregations through the Ministry Engagement program. Asher will work alongside volunteer program conveners and in partnership with other ELM staff on strategic work and communication for these programs. Asher begins on August 15 and will work from his home in Long Beach, CA. Before becoming a Lutheran pastor, Asher fancied himself spiritual but not religious. He thought he was done with organized religion after growing up transgender and bisexual in a fundamentalist church. But then he stumbled into a church called House For All Sinners and Saints in Denver, Colorado where God messed up all his plans. There he heard an invitation he couldn’t help but share. From Christ’s open table he heard: “Behold who you are. Become what you receive.” Becoming what he’s received has led him to earn a Master of Divinity from Luther Seminary, to pastor a small mountain congregation called Zion Lutheran Church in Idaho Springs, Colorado, and now to serve as ELM’s Program Director. Asher is a member of Proclaim and served on the ELM Board of Directors until March of this year. Christephor Gilbert. 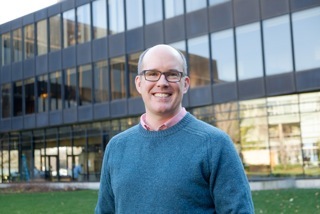 Photo by Jason McGovern, LSTC. We also announce the promotion of Christephor Gilbert to the newly created position of Development & Communications Coordinator. Christephor has served as Operations Coordinator for ELM since February this year. The position contains Christephor’s current role and has been expanded to include communications and development responsibilities. Christephor will work two days a week at our Chicago home office at Resurrection Lutheran Church. 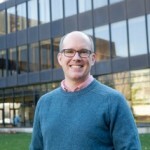 Christephor is a member of Proclaim, a student in the Master of Divinity program at the Lutheran School of Theology at Chicago, and is in candidacy with the ELCA toward Word and Sacrament ministry. We’re thankful to you, our wonderful supporters, who make it possible for ELM to invest in strong leaders who can guide and direct ELM’s ministry. ELM believes that the extraordinary gifts of LGBTQ ministry leaders enrich and transform our church. Your support allows us to live out that belief through Proclaim, Accompaniment and Ministry Engagement. Thank you! This entry was posted on Tuesday, August 2nd, 2016 at 5:00 am	and is filed under Blog. You can follow any responses to this entry through the RSS 2.0 feed. Both comments and pings are currently closed.